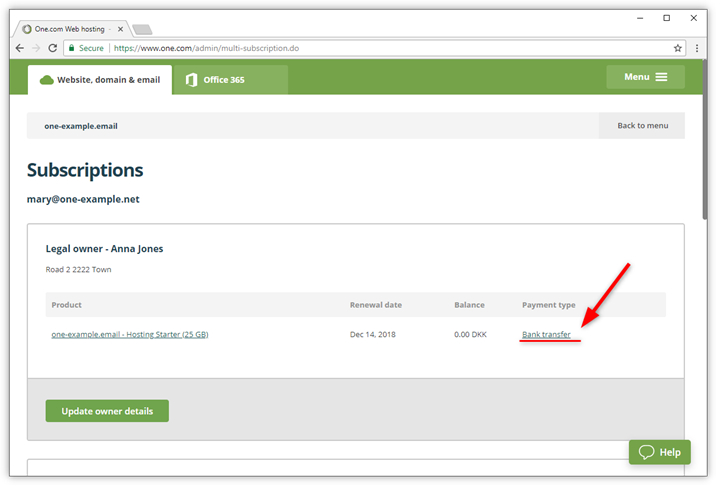 The current payment method is based on how you paid your previous invoice. 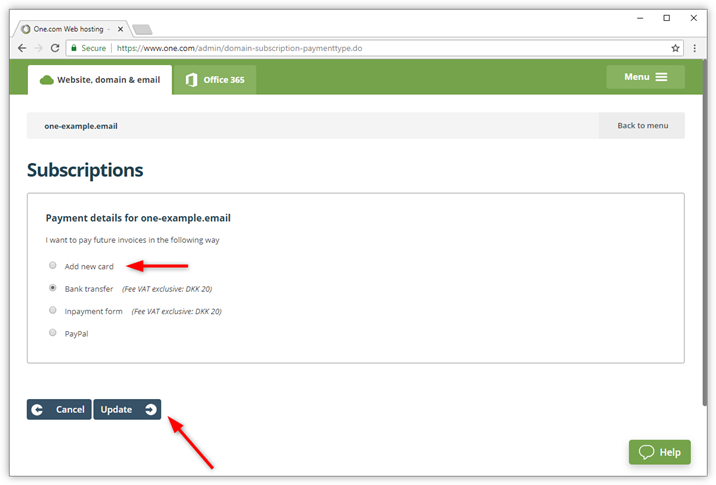 You can change the payment method from the One.com control panel under Subscription. Log in to the One.com control panel on our website. Click on the button called My account in the top-right corner. Click Subscriptions in the menu that opens to the right of your screen. Click on the current payment method, for the subscription for which you want to change it. Select the new payment method. The options available depend on your country of residence. Click Update, to save your changes. If you select Add new card, you will be asked to enter your new card details. Note: For some payment methods we charge an extra fee because of additional administrative costs. If that is the case, the fee will be indicated in brackets after the payment method.